1.Battery Life: 1 Year (50 hours) or more on Alkaline Batteries. 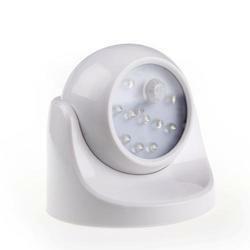 The LED motion sensor light is battery operated. It can be placed anywhere convenient to help light up the area. It is very useful for persons who frequently need to get up at night. The sensor has an approximate range of 10 feet. 1. 100% energy saving, 100% solar power, pay 0 electricity bill. 2. Light 12 hours after 8 hours full solar charging. 3. High-efficient solar panel and big storage Li-ion battery. 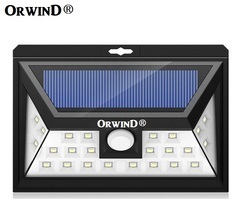 Owing to our expertise in this domain, we are introducing an assorted range of Motion Sensor LED Light which is provided in numerous specifications to choose from.